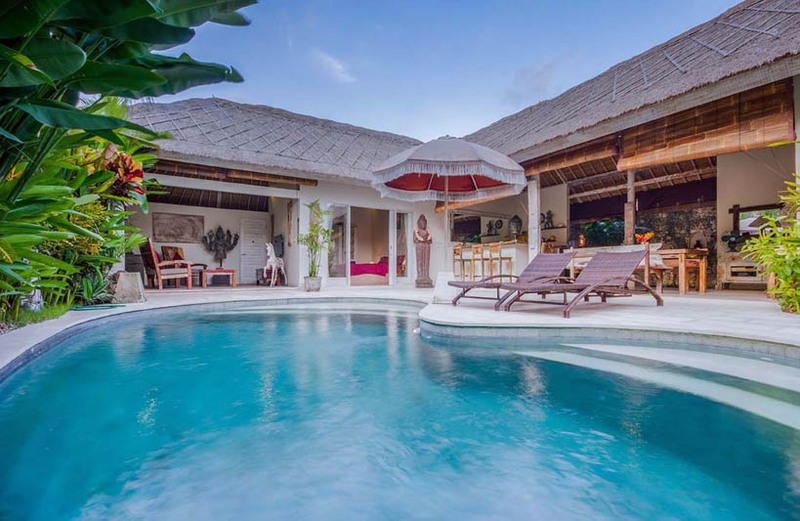 The Villa Sumba is situated in the traditional village of Banjar Bumbak, with an access road of 300 meters which leads across beautiful rice terraces. 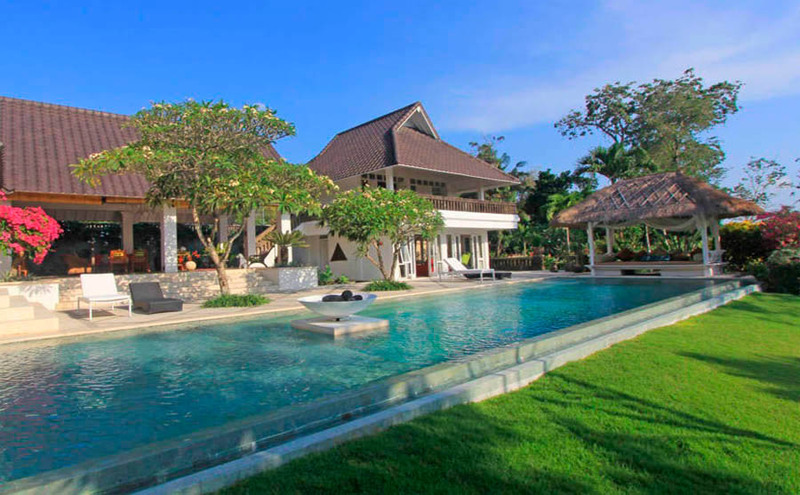 The location of this villa for rent in Bali is surrounded by indigenous palm trees at the top of the rice terrace. The vista slopes gently down to the Sumai River. Located within easy reach to the Seminyak area with its restaurants, bars & clubs - only 10 minutes away but far enough to feel the Balinese country feeling. You can hear the roar of the Canggu surf beach which is also 10 minutes away. 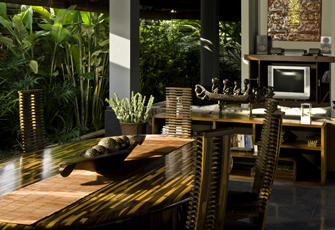 This property promises you the best lodging on the island of Gods ever. 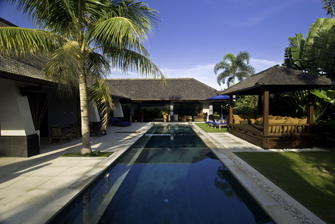 The lounge & bedrooms open out onto a 15 meter natural stone tiled swimming pool & water feature with a 4mx2m Balinese Bale (gazebo) & 4 sun lounges. 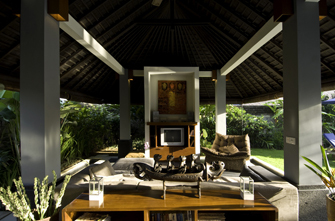 The Bale makes for an ideal spot for afternoon drinks or a quiet getaway to read or nap after your adventure around Bali. 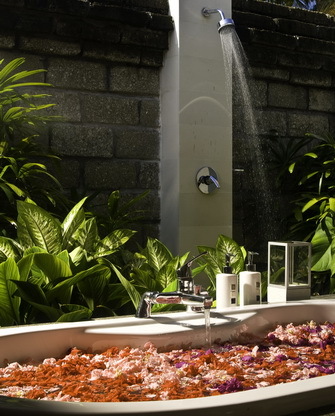 Set within the lush topical gardens it is easy to enjoy the tranquility that the house offers. There is a high speed broadband plug in point plus hot spot wireless. The lounge has a DVD/CD surround sound system & large screen TV with Indovision satellite television - showing over 50 channels. 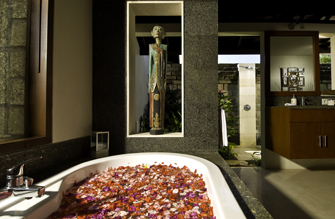 The villa entrance features a carved water feature in front of the pool which offers privacy upon entering. 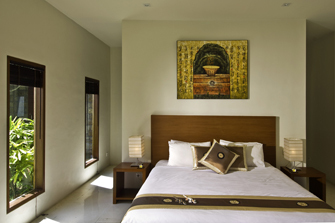 This villa is the best option of where to stay in Bali for every traveler. It was very enjoyable stay around smiling staffs and excellent services . Very well maintained garden and pool and we cant help having great time in the villa. Our stay was very pleasant, the staffs were very helpful, especially the cook Farida. Beautiful villa! The staff of the agent 'BaliIloveyou was very reliable and helpful. Nice villa very clean and adapted to teenagers. The staff is very nice and discreet, available especially in the kitchen to advice us. Had some technical issues with the lights but very quick fixed. 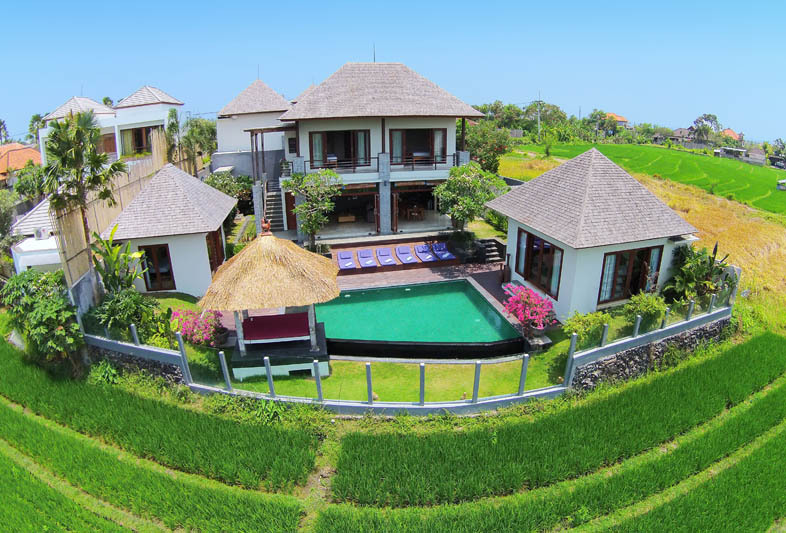 Negative points are the fact that the villa is in small roads and that we have to use cabs to visit the island of Bali. I hope to meet Gregory before the end of the trip. Big thanks to all the staff. Villa Padar was amazing! The villa was exactly as the photographs depicted but even better! The service was superb and Yoman treated us to the best Balinese food that we had, even better than the well-known Bumbu Bali! However, we did find it a little way out...the traffic on the way to Kuta and even Seminyak was crazy! But, on the whole, we had a lovely stay at Villa Padar and hope to go back for another holiday soon! Very nice villa in a quiet area. Service was spot on especially from the cooks (Kader & Ilhu) who speak good English and cook great local and western dishes. 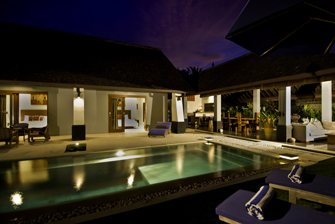 The villa layout is perfect and the pool enjoyable. We really enjoyed our stay and can only recommend Villa Padar. Completely lived up to our expectations and more! The pictures on the internet were accurate. 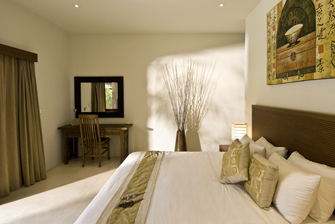 The decor is amazing, the villa size is ideal for a family of 4. The outdoor dining setting is idyllic. 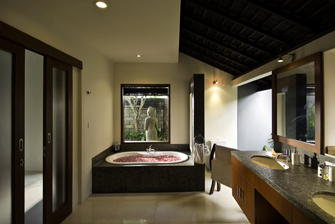 The villa has fantastic Balinese feel. It was little bit worrying us by being in the middle of rice field but finally we realized that it took us only 8 minutes to the beach and the restaurants. 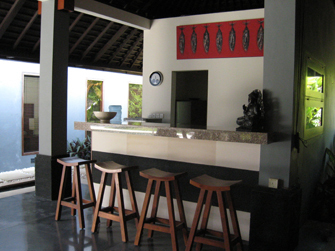 The house is very well-furnished and the staffs are very professional, it was great memory in villa padar.